12 Coal Miners Died on This Man’s Watch in 2006. Now Trump Wants to Make Him Commerce Secretary. So much for Trump’s supposed commitment to coalfield workers. After campaigning as a champion of coal miners, Donald Trump is reportedly close to choosing for commerce secretary a New York billionaire who owned a West Virginia mine where a dozen miners were killed in 2006. Trump’s favored candidate, Wilbur Ross, also engineered buyouts that cost workers their benefits and their jobs. It’s a striking choice, considering Trump’s promises to improve the lives of coal miners and other working-class Americans. Ross made his money collecting “distressed assets”—failing steel and textile mills in the Midwest and South, and coal mines in Appalachia. Dubbed the “the King of Bankruptcy,” Ross cut jobs, wages, pensions, and health benefits at the companies he acquired, and reaped the profits. 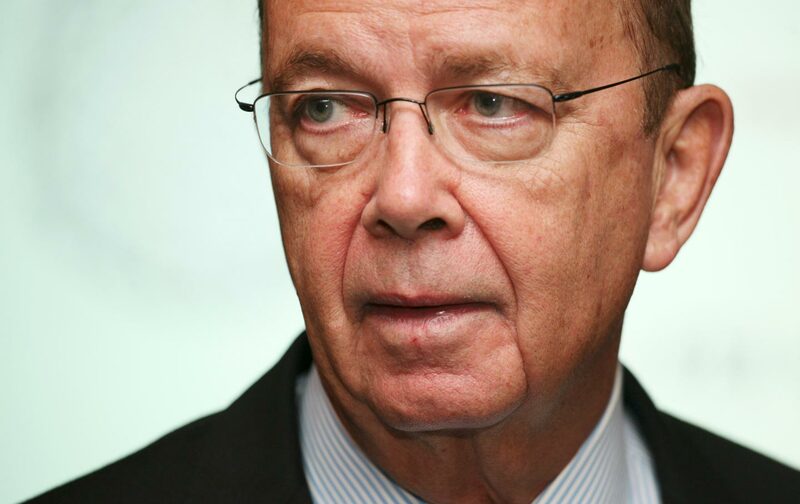 In the early 2000s, Ross’s foray into the steel industry netted him a $267 million personal windfall, but stripped health-care benefits from more than 150,000 retired steelworkers. Then he moved on to the coal industry, at one point controlling as much as $1.2 billion in coal assets through his company, the International Coal Group. One of ICG’s acquisitions in West Virginia was the Sago Mine, about 100 miles east of Charleston. The mine, a non-union operation, racked up a slew of safety violations from federal inspectors—more than 208 in 2005 alone. That year, the roof of the mine collapsed 20 times. Workers at Sago were injured three times as often as workers in similar mines elsewhere. Though Ross claimed not to be part of operating management at Sago, he admitted later that he was aware of the violations, and waved them away. On the campaign trail Trump described himself as the “last shot” for coal miners. But his embrace of Ross is a reminder that the president-elect at best knows very little about their lives, and at worst simply doesn’t give a damn. Trump has never detailed any concrete plans—beyond repealing regulations—for reviving the industry, for making sure that retired workers get the benefits they rely on, or for making what is one of the most dangerous occupations safer and healthier. Since the election, even Senate majority leader Mitch McConnell has admitted there may not be much Trump and a Republican-controlled Congress can do to resurrect the industry. If Trump wanted to help coal country he would have a plan for making sure that there’s never another disaster like Sago. Instead, he may be about to reward the man who oversaw it. Update: As reporter Ken Ward Jr., who reports and blogs on the coal industry and environmental issues for the Charleston Gazette-Mail, pointed out, I should clarify that Ross will not oversee mining regulations if he is indeed picked as commerce secretary. The Mine Safety and Health Administration falls under the umbrella of the Department of Labor, while the Commerce Department facilitates international trade and promotes American businesses, among other things.